SOUTHAVEN, Miss. – Alexander Beene, senior accountancy major at the University of Mississippi at DeSoto Center – Southaven, has accepted a Certified Management Accountant Program Scholarship. The scholarship was awarded to Beene last spring by the Institute of Management Accountants. It covers the entrance fee to the CMA program, registration fees for both parts of the CMA exam, and up to three years of IMA membership. It also provides access to exam support programs and information. The IMA allows 10 students per school per academic year to be nominated for the scholarship. Beene was nominated by Howard Lawrence, clinical professor of accountancy at UM-DeSoto. Fellow accountancy major Timothy Nagle also encouraged Beene. Originally from Lake Cormorant, Beene graduated in 2017 from Northwest Mississippi Community College with an associate degree specialized in accounting. 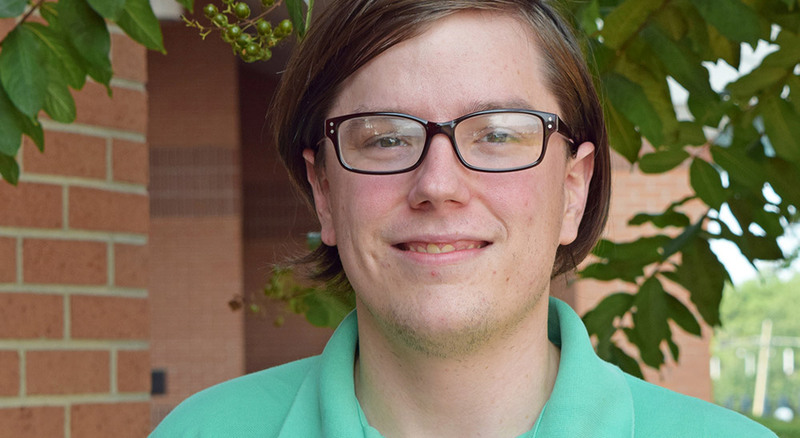 He chose to continue his education at UM-DeSoto by enrolling in the university’s nationally acclaimed accounting program. Beene plans to take both parts of the CMA exam in the summer of 2019. “This gives me one year to prepare and I will have my bachelor's degree all but completed,” he said. Working while attending classes at UM-DeSoto has been a challenge for Beene, who is married with two children. However, he hopes that the experience will help him after he receives his degree. For information about the University of Mississippi – DeSoto’s accountancy program, visit olemiss.edu/desoto.